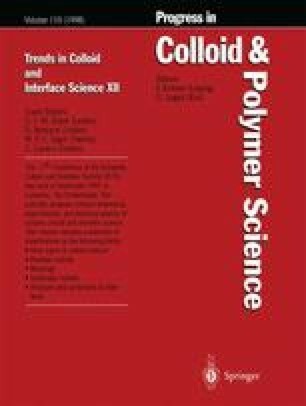 This paper reports titration microcalorimetric measurements on micellization of a technical grade alkyl polyglucoside (APG) surfactant. The dilution enthalpy was recorded at three different temperatures and the curves obtained were compared to those of pure β-octyl glucoside. For comparative purposes titration microcalorimetry was also conducted with the conventional nonionic surfactant octa (ethylene glycol) monododecyl ether and with the anionic surfactant sodium dodecylsulfate, SDS. The results indicate that, contrary to the alcohol ethoxylate, both glucoside surfactants undergo micellization without much loss of water of hydration. Compared to the pure octyl glucoside, the technical grade APG exhibited a lower cmc and a less endothermic enthalpy of micellization at room temperature.